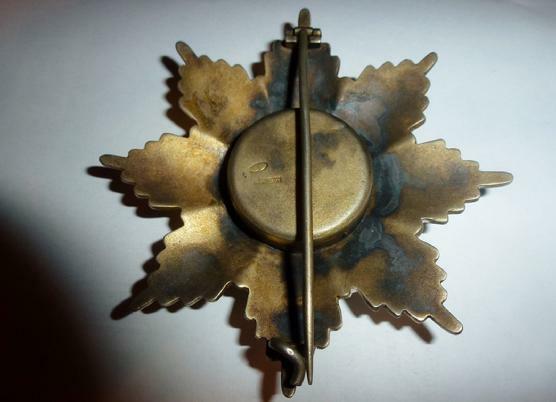 STAR: Eight-pointed silver and gold star. 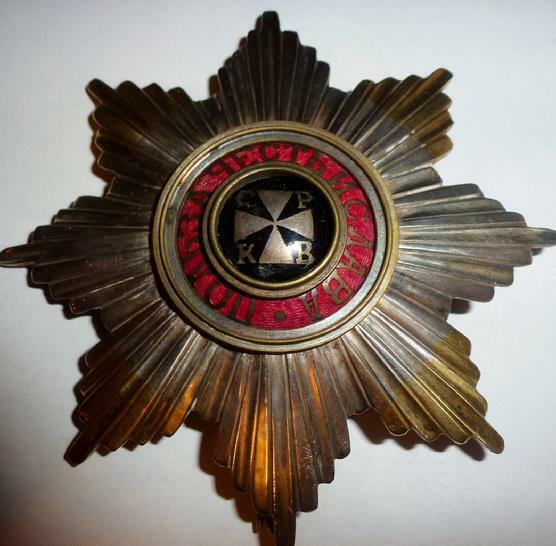 The diagonal rays are gold tipped while the vertical & horizontal ones are of silver.The center silver medallion is black enamel and portrays a gold cross with the initials of C.P.K.B. for Saint Prince Vladimir Apostle. 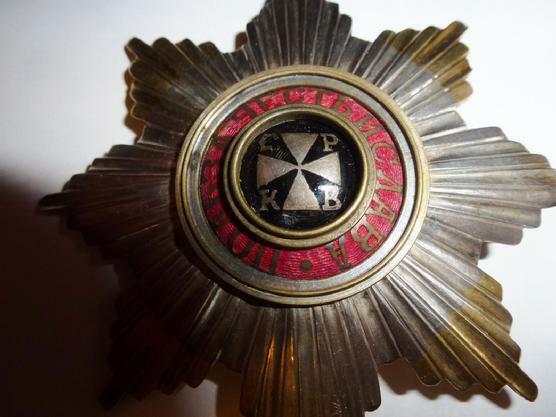 Surrounding the center medallion on a red enamel band is the Inscription, USEFULNESS, HONOR, GLORY. 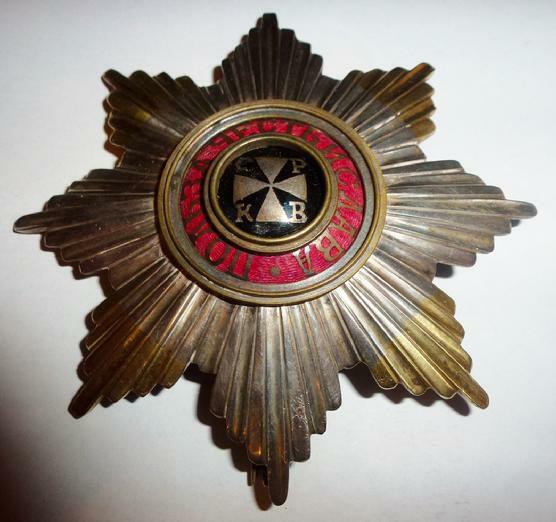 Russian Imperial Standard, and made by EDUARD. 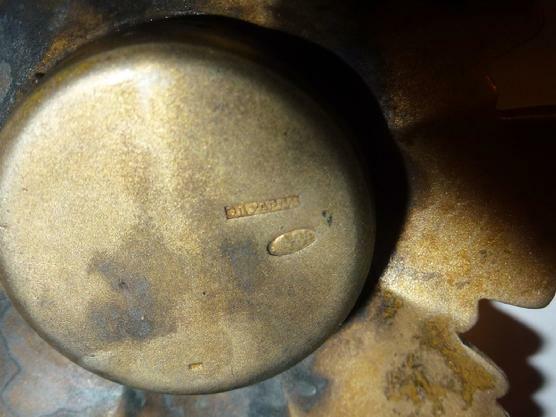 Size: 85 mm in diameter. Weight: 73 gr. Great condition, original, and very rare.